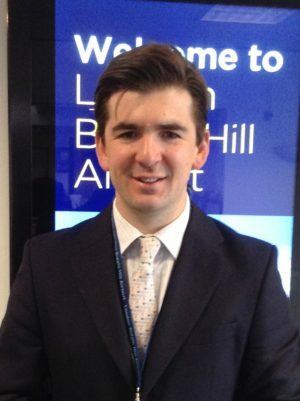 Robert Walters today is the Business Development Director for London Biggin Hill Airport, responsible for growing the airports business in all areas. His roles are focused mainly at the user end of the business making sure the airport has the facilities and infrastructure it needs to generate new business and continue to grow in to one of the busiest and most diverse business airports in Europe. Previously Robert headed up Northolt Handling, a business set up to run a contract that Biggin Hill Airport was awarded in 2001 for 5 years. Prior to this Robert worked in the City of London, for a small Lloyds Insurance Broker specialising in Marine and Aviation Reinsurance.